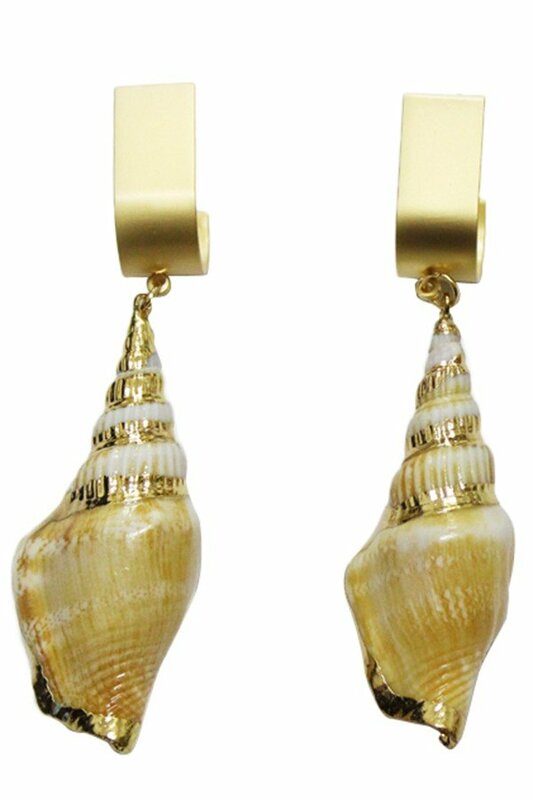 Description: Matte finish loop earrings with natural tulip shell. Post back. Approx. length 3".